#stampinup #creationstation #faithfulinkspirations Can it be November already? It seems like the year is flying by! I can't complain though, because I'm looking forward to seeing my college kids when they come home for Thanksgiving. And then shortly after that it will be Christmas. Wow! 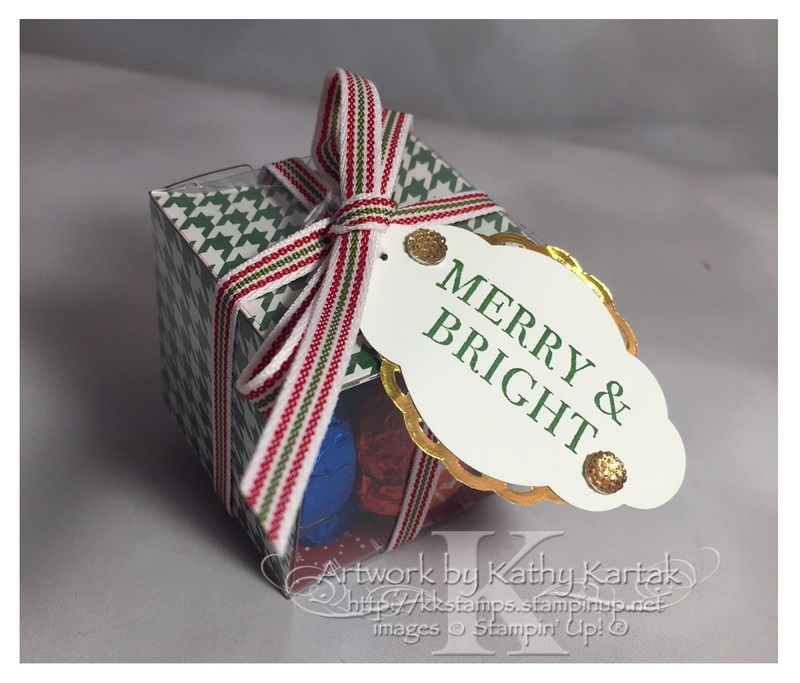 On this trip around the Creation Station blog hop, our design team is going to show you some great packaging ideas for your holiday gifts. 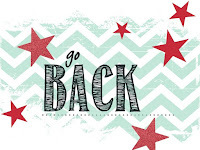 Stampin' Up has some great products that make packaging quick and easy. Add a little bit of designer series paper, some ribbon, and a tag and you're good to go! First, I have two little boxes of chocolate that would make great teachers' gifts. I started with a Clear Tiny Treat Box and added an 8" by 2" strip of designer series paper, scored every 2 inches. I dropped this inside the box and added some candy. Simple! Next, I grabbed some coordinating ribbon--I used about 30" for each box because I wanted a BIG bow on the tiny box. Then I stamped a sentiment from the "Hearts Come Home" stamp set on a coordinating piece of card stock, punched it out with the Pretty Label Punch, adhered a Foil Doily, and tied it to the box with Whisper White Baker's Twine. For a finishing touch, I added some Faceted Gems. This box uses the Be Merry DSP and Quilted Christmas Ribbon. I stamped the sentiment in Garden Green Ink and added two Gold Faceted Gems and a Gold Foil Doily. 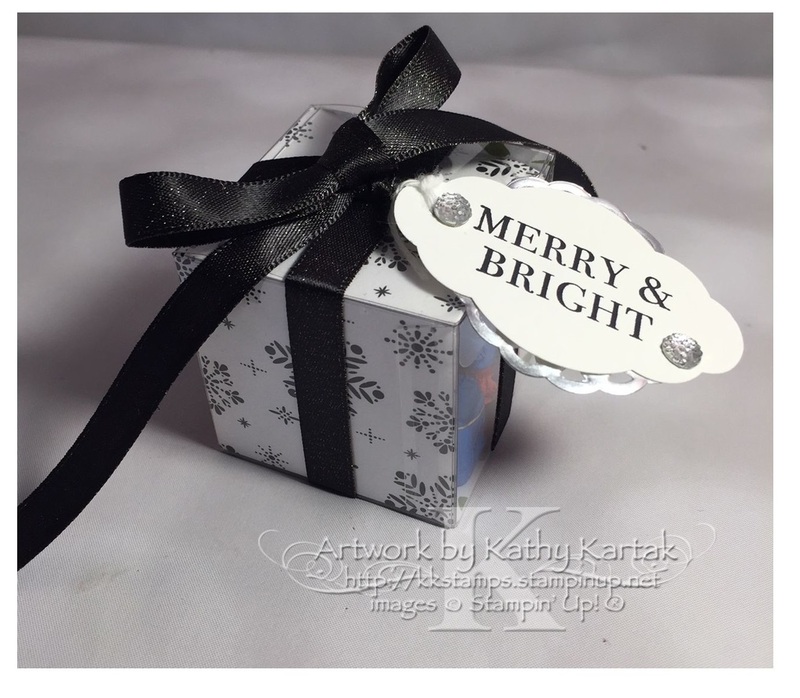 And this box uses the Merry Little Christmas DSP and Basic Black Shimmer Ribbon. I stamped the sentiment in Basic Black Archival Ink and added two Clear Faceted Gems and a Silver Foil Doily. 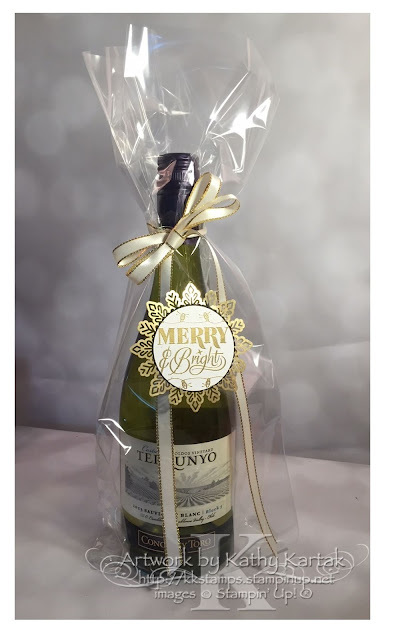 Next, I made a quick neighbor gift using a super big 6" by 17" Gussetted Cello Bag and a bottle of wine. These bags are perfect for a gift of wine. 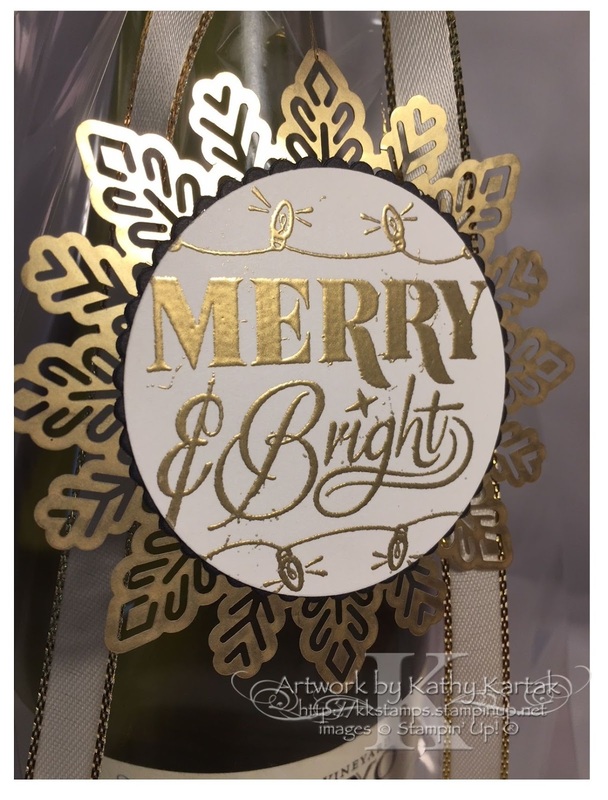 I tied on a about a yard of Gold Metallic-Edge Ribbon and made a super pretty tag with a Foil Snowflake. For the tag, I stamped "Merry and Bright" from the "Festive Phrases" stamp set in Versamark Ink onto a Whisper White scrap. I embossed this with Gold Embossing Powder. I cut it out with one of the Layering Circles Framelits. I adhered it to a scalloped Basic Black circle, also cut with one of the Layering Circles Framelits. Then I adhered it to a beautiful Foil Snowflake. I tied the tag to the ribbon with a length of Gold Metallic Thread. 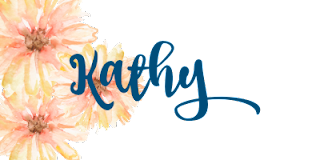 So pretty--and so easy!! Well, those are my quick and easy packaging ideas. 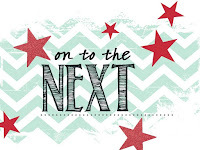 Now it's time to hop around the blogs to see what awesome ideas the rest of the design team has in store for you!